This is the second in a series of blog posts about recovering from the Gulf oil spill and from oil dependency overall. The first gives an introduction to the series. In the U.S., close to 70% of the petroleum we use fuels transportation. We consume about 20 million barrels per day; around 13 million of those go to moving us around. Given this, and given that I authored a book called Divorce Your Car!, you might expect me to start a series on recovering from oil spills and addiction by advising, “Drive less.” Clearly, we have to drive less to recover from oil addiction and to relieve pressure on fragile ecosystems like the Gulf. Yet that admonition has never done much for me. Though “driving less” describes a primary path to oil-addiction recovery, it’s so non-specific that it doesn’t do much to help envision that path. So instead of writing “drive less,” I prefer to focus on particulars that foster less car use, such as today’s suggestion: Take the train. I’m talking long-distance trains here, which are generally a very efficient means of moving both people and freight. They can do two important things when it comes to recovery from oil addiction: use less energy, and use cleaner energy. Because of differences in the nature of these travel modes, these figures aren’t precisely comparable, but it’s still safe to say you save energy by taking the train – especially compared to something like a single-occupant SUV (classed as a light truck). 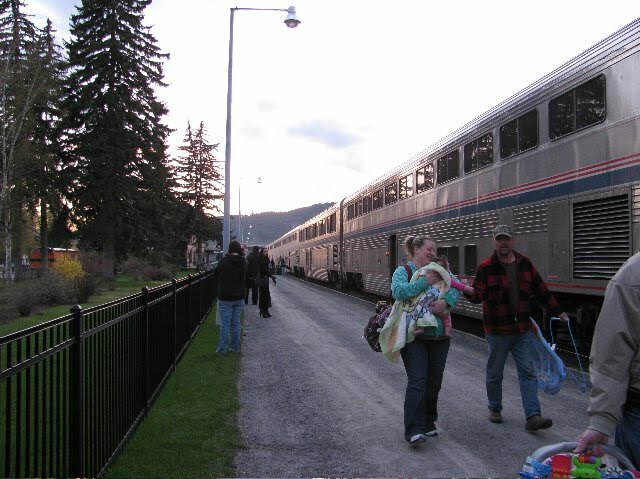 Passengers from the Empire Builder stretch on the station platform in Whitefish, Montana as the train stops for a break. This route goes right through Glacier National Park. U.S. trains don’t yet measure up to Europe’s or Japan’s or Canada’s, but despite that, the Amtrak system has much to offer. You can get as far as clear across the country in less time than it takes to drive, and relax or work along the way (Joe Biden recently described how he has worked on Amtrak commuter trains in this nice little essay). Some trains can also save you time compared to flying. 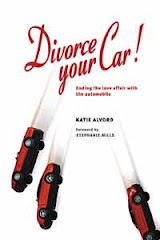 In Divorce Your Car! I pointed out that certain Amtrak routes are cheaper and faster than short plane hops between major cities (see p. 168 for examples). Some of Amtrak’s best runs service commuters. The Northeast routes, the Hiawatha between Milwaukee and Chicago, the Cascades between Oregon and Seattle, and California routes – the Capitol Corridor and Pacific Surfliner – are all popular and see high ridership. If you’re on the way to the Gulf to help with wildlife recovery, or to cover news of the spill, you can take trains to New Orleans from points north, west, or northeast. Chicago to New Orleans is an overnight trip on the City of New Orleans; New York or DC to New Orleans is likewise overnight on the Crescent. Los Angeles to New Orleans takes two days, but that’s still less than driving. 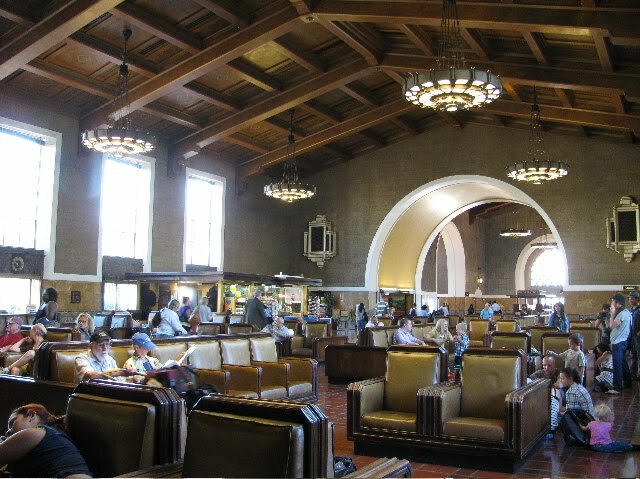 Waiting for the Southwest Chief in the Los Angeles Union Station. Amtrak is not without problems. Decades of tight budgets have limited equipment upgrades, so many train cars show wear and are subject to facilities breakdowns. I can say from experience that there’s nothing like toilet failures on a train to make a journey unpleasant. Delays have plagued some routes, because freight trains have priority on most tracks; recently, though, Amtrak’s on-time performance has gone way up. I’ve ridden several trains that have reached their destinations early. 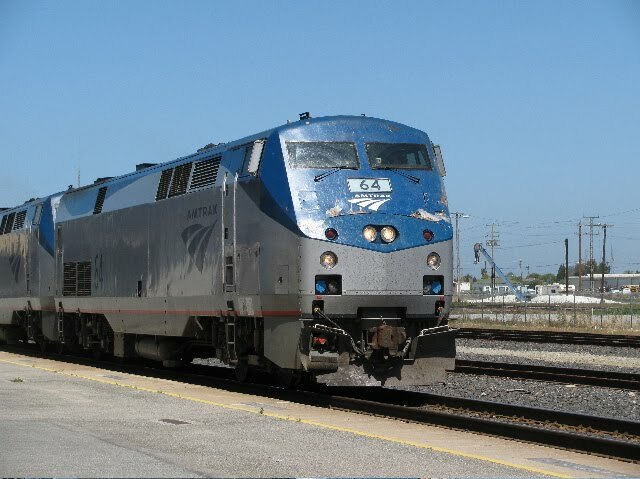 Right now, trains run on a combination of electric power and diesel (some Amtrak locomotives are diesel-electric, some all-electric; as an aside, some locomotives used by Amtrak were made by GM, which suggests a way to bring more jobs to Michigan). This means that although most trains now run on fossil fuels, their power source can easily shift in two ways: one, by using biodiesel in place of petroleum diesel in locomotives, which has already been done in some spots. ; and two, by shifting grid electrical power into cleaner energy sources such as solar. Such changes, combined with rail travel’s efficiency, give trains great potential to cut our collective oil dependence. You can cut your own by checking out train service in your area, and riding the train. This Amtrak locomotive is pulling the Coast Starlight into Salinas, California. In 2007, China began service on 500 high-speed trains. 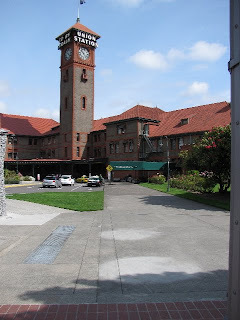 In the U.S., Amtrak has to fight every year against attempts to kill funding. Trains are not just good for the economy and environment, they are a more relaxing way to travel. Nice post. Your positive attitude is refreshing.